As we all know the GTI spoiler is a bad design and allows water in which then causes paint blistering... What is the best way to seal it all back up? Light - The OEM gaskets obviously fail and I dont believe they can be bought individually as no part number is on ETKA... I purchased a BMW E36 gasket to see if that would work but isn't the best of fits... What could I replace it with? Clear silicone? Foam Tape? The light does need to be able to come apart down the road again... Spoiler - As standard there is foam tape, Should this just be replaced or is there a better substitute? again silicone of some sort? For sale I have a lupo gti rear spoiler complete with bootLid and wiper motor in red. The spoiler does have a slight crack on the underneath side and the brake light has a slight crack on the left hand side. Please see photos. Looking for £180 collected or am happy to post for approx £25. Located in Midlands. Many thanks Sam. Right, i have known for a while now that the spoiler fouls on any non GTI but i bought a spoiler regardless, i have just test fitted it to find out the extent of the fouling on a polo 6R aerial and it is quite significant, even on the shorter aerial. Has anyone found a fix for this because i have just thought would it be possible to just put/weld a spacer on the hinge stop to restrict the range of the boot travel? Hey guy's i was wondering where the best plave or way to get a 1 peice spoiler for a 1999 1l lupo? I've already been browsing the net and found some for like £180 but was looking for something more under £100. I'm looking for a gti spoiler but can't seem to find one. Is the Rieger spoiler any good? Does it have a gap between the roof and the spoiler? Also what do you do to the brake light if you put one on? And is it easy to fit? 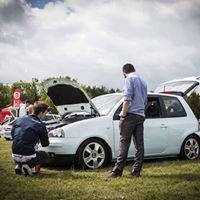 Does any one have or know anyone who has a: LUPO GTI SPOILER for sale please contact me on here or text me if so... Thank you, Owen. 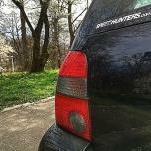 I have just got a Lupo 1.0 and looking for a spoiler preferably from the GTI. Anyone got one for sale? Anyone selling Lupo GTI: -SideSkirts -Front& Rear bumpers -Spoiler please message me if you are or you know where i can get these !! Thankyou. Sp3nny posted a topic in New member? Where can i find a roofspoiler? Im searching for a nice looking roofspoiler for my Lupo. I dont want the 2 piece type so im looking for a model like rieger or another nice model in one piece. I´ve looked at ebay.de and there are sellers that have rieger for a nice price but they dont ship to sweden or ant other country than germany. So i´m looking for a dealer that is able to ship to sweden and have a nice looking roofspolier thats not to overpriced. A dealer in sweden sell the rieger one for amazing ~300£ Anyone that can give me any suggestions..?